These fruit smoothie recipes would all be a delicious addition to your next slumber party or brunch. 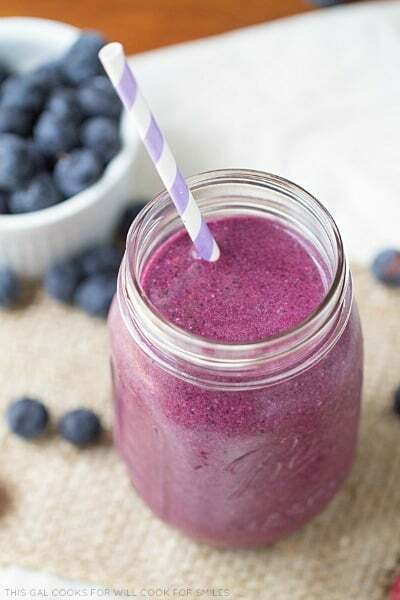 Smoothies are a great way to boost your energy in the morning, eat the recommended daily amounts of fruit and they make a great breakfast on the go. 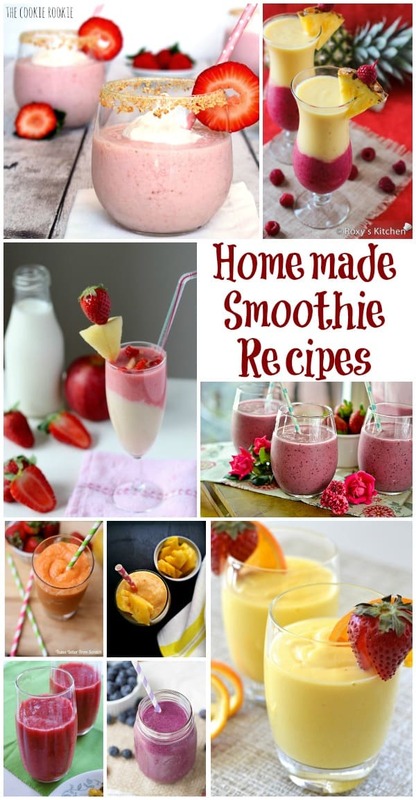 These fruit smoothie recipes are from other talented bloggers and masters in the kitchen. To view the full recipe for each, simply click on the titles and they will open up in new windows for you. For more delicious ideas for a slumber party, be sure to check out special Slumber Party category. 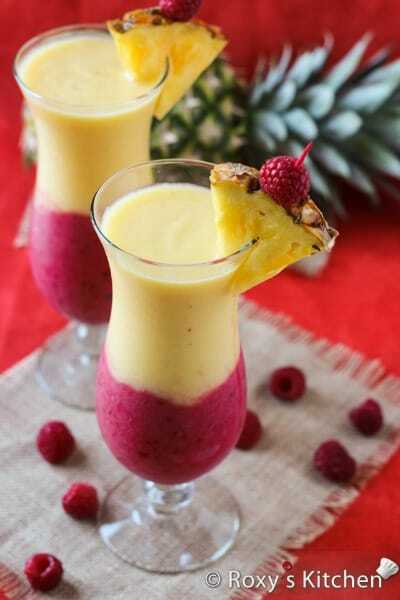 These Creamy Pineapple Berry Smoothies (pictured above) by Roxy’s Kitchen are so beautiful! These are sure to impress at your next brunch celebration. 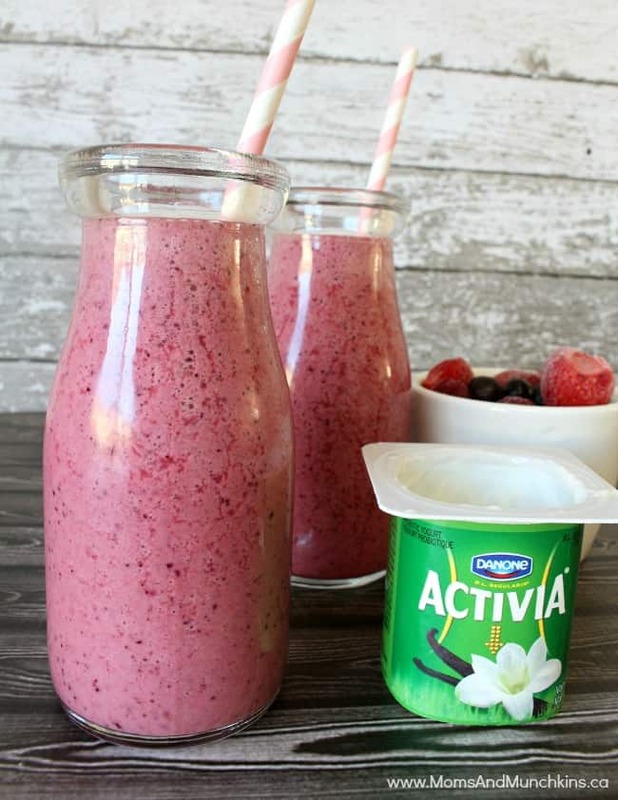 I didn’t think I was a fruit smoothie person until I tasted these Berry Fruit Smoothies! 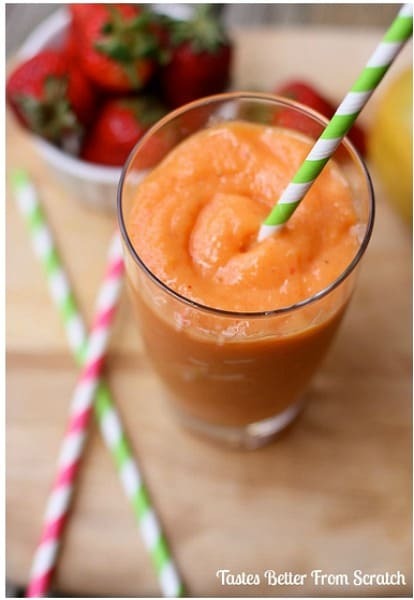 This Caribbean Passion Smoothie by Tastes Better From Scratch is a Jamba Juice copycat recipe. This would be the perfect refreshment to enjoy on the patio this summer. 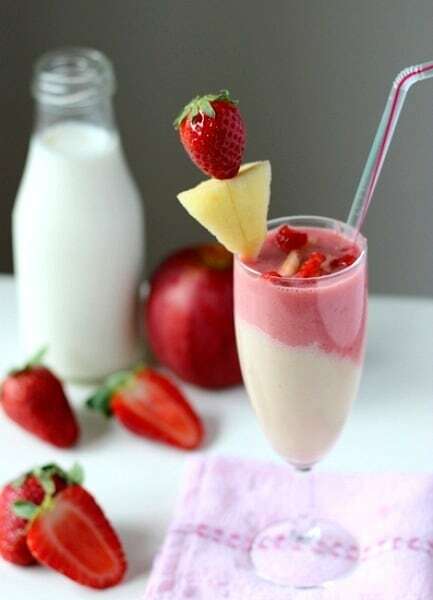 These Strawberry Apple Smoothies by We Recipes look so pretty. I hadn’t thought of combining apples & strawberries before but I am now! 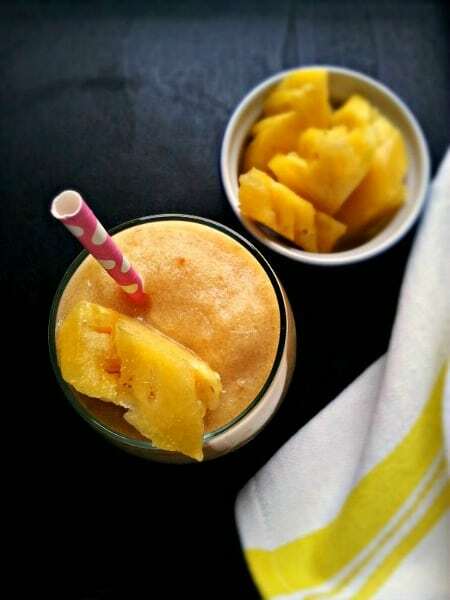 Check out these Skinny Pineapple Pear Smoothies by Super Nummy, Yo! If they are “skinny” it means you can have two, right? 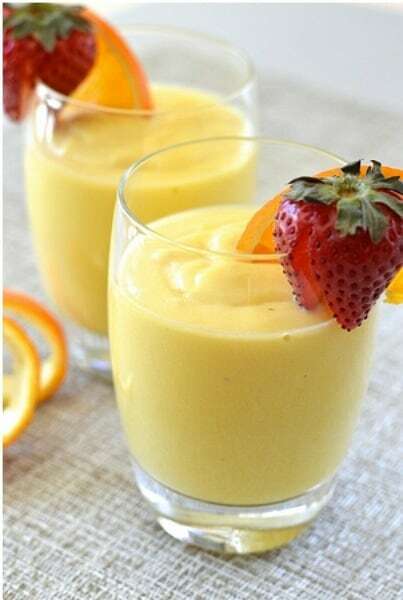 These Tropical Breakfast Smoothies by Heart Love Weddings would be perfect for a Sunday brunch with house guests. Have you ever wanted to eat cheesecake from breakfast but felt like you couldn’t handle the guilt? 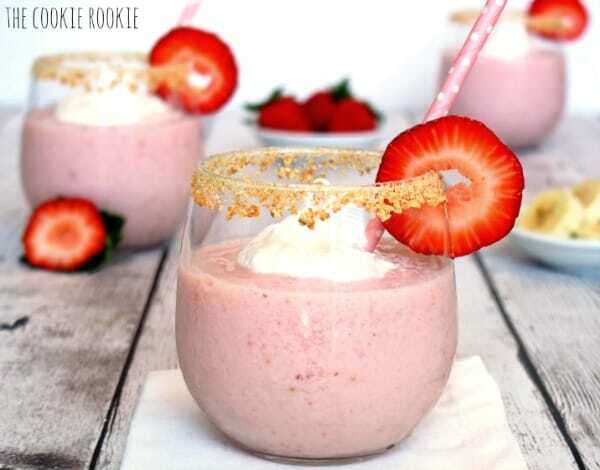 Well, I have a solution for you – Skinny Strawberry Cheesecake Smoothies by The Cookie Rookie. 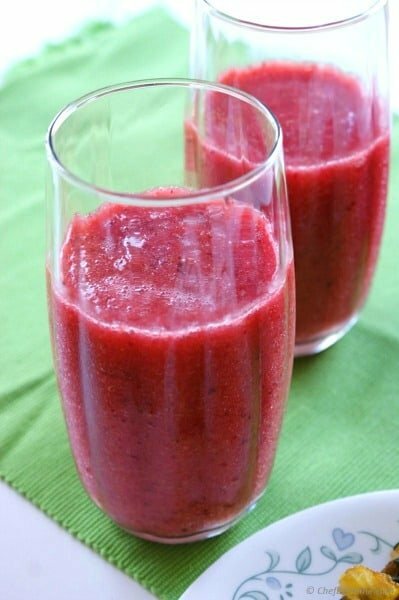 This Berry & Citrus Whole Fruit Slushie by Family, Food & Travel is a healthy snack for kids. 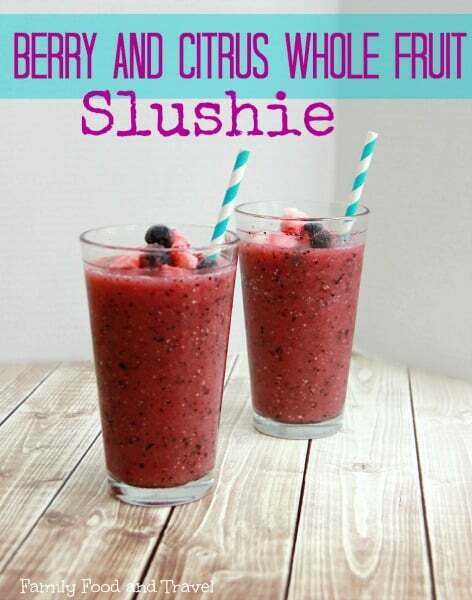 I love the idea of adding frozen berries to keep the drink cold. I love toasted coconut but had never thought to put it into a smoothie…until now! 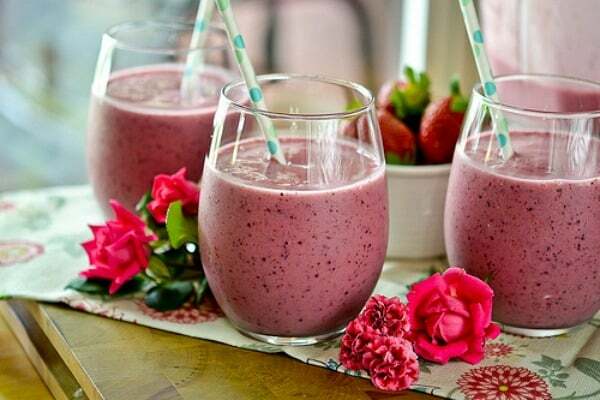 These Berry & Toasted Coconut Smoothies by This Gal Cooks look delicious. 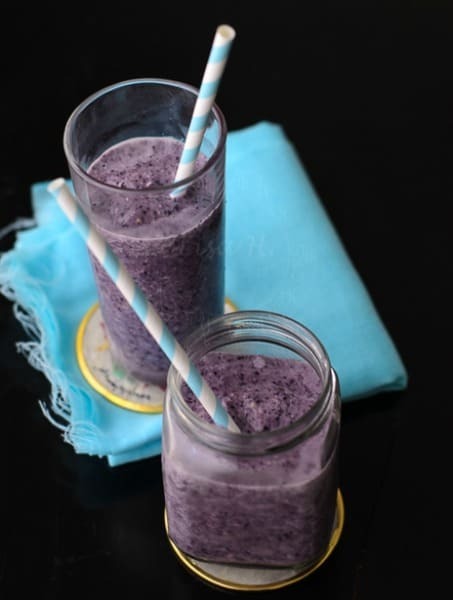 These Blueberry Banana Oats Smoothies by From My Lemony Kitchen look like a great breakfast on the go. This Morning Strawberry Glory Breakfast Smoothie by Chef De Home looks really healthy and like a great way to start the day. Kids are sure to love these Fun Smoothies by Full Fork Ahead. It’s an excellent way to sneak some healthy fruits into their diet. These all look so fantastic! Thanks for including my Caribbean Passion Jamba Juice Copycat Smoothie! Can’t wait to try some of the others–pinned! Thank you for including my Berry and Citrus Whole Fruit Slushie – can’t wait to try some of the other ones. Thanks for adding my Apple & Strawberry Smoothie in the list. All other smoothies looks yummy. Also I loved the final collage. Great work. Do make such lists and share in future. so many varied angles. Its like men and women aren’t involved until it’s something to do with Girl gaga!